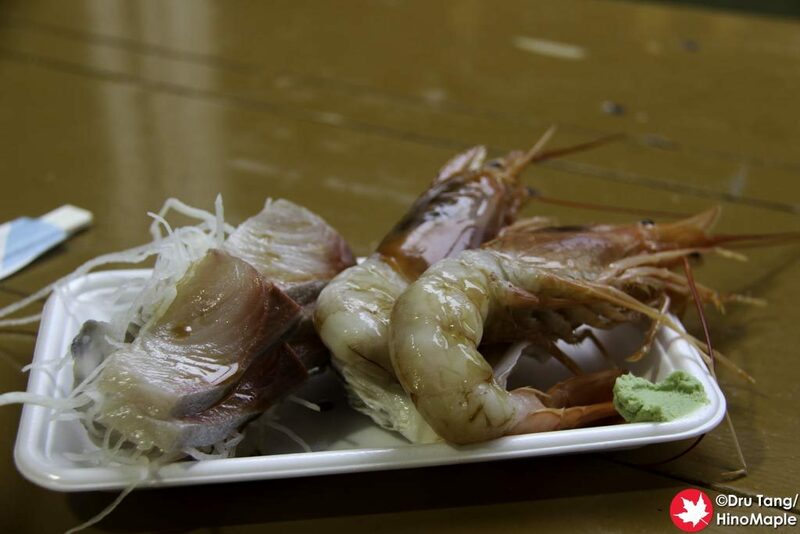 The Itoman Fish Market is somewhat of a local secret in Naha as it is located a little distance from the central area of the city and is probably not as popular with tour groups either. Officially called the Itoman Fisherman’s Cooperative (Fish Centre), I just called it the Itoman Fish Centre or Itoman Fish Market. 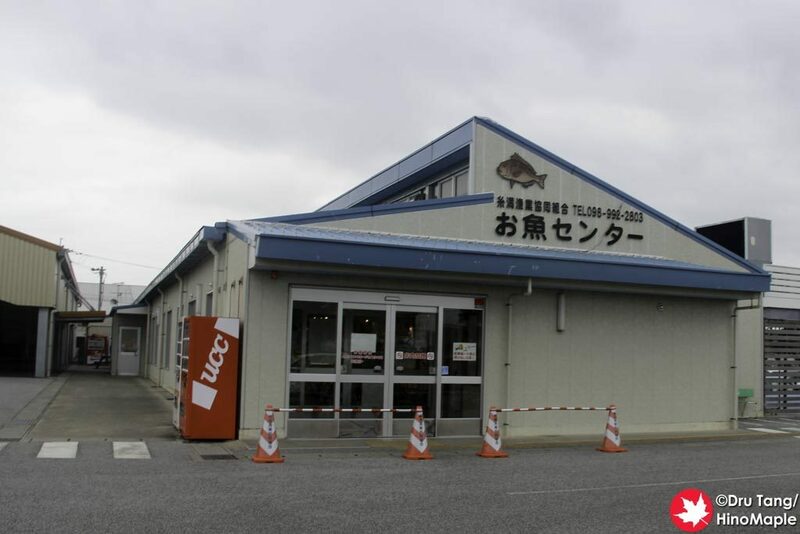 It is a small building in a big open area with lots of fresh fish on sale. If I ever have a car and I want a good sashimi breakfast, the Itoman Fish Market is probably the best place for it. It is a good way to start your day as there aren’t too many people there, although it may be pretty busy on weekends. When I entered the fish market there were very few people there and a lot of fish on display. 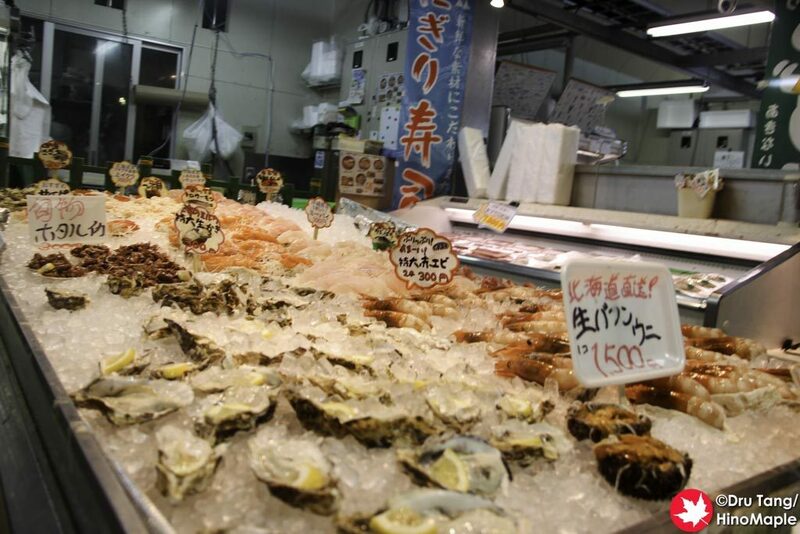 You can buy whole fish, local vegetables, as well as some fresh cut sashimi and other fresh seafood. I was in heaven. The prices for the sashimi were not too expensive but it wasn’t very cheap either. I was happy with the price and got a few items. The shrimp were huge and I made a big mess of everything. I really loved the presentation too. I really couldn’t ask for anything else while I was there. If you have more time there is a gift shop next to the Fish Market. The gift shop is pretty standard and there really wasn’t anything for me to buy that I couldn’t get in central Naha. I don’t know if the prices were better in the Itoman Fish Market area but it wasn’t as busy as the other souvenir shops either. If you have access to a car and want some fresh seafood, the Itoman Fish Market is a great choice. 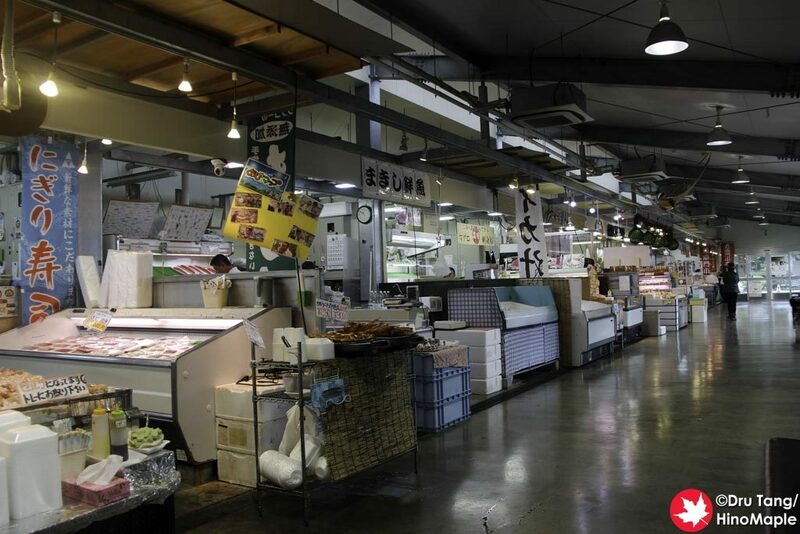 It isn’t far from Naha and if you eat breakfast there you can stop by the outlet mall on the way back. I wasn’t interested in shopping so we just headed back to Naha. I really couldn’t have asked for a better local treat than the Itoman Fish Market. 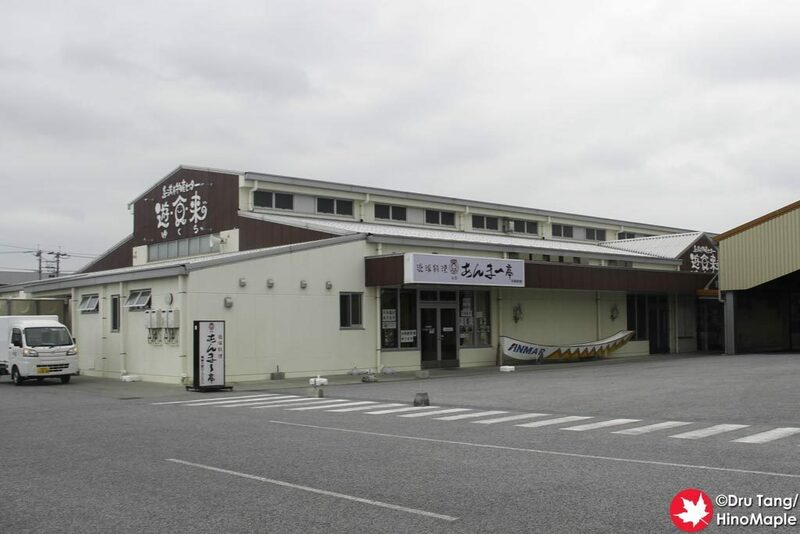 This entry was posted in Okinawa Food and tagged Eki no Michi, Itoman, Itoman Cooperative Fish Centre, Itoman Fish Center, Itoman Fish Centre, Itoman Fish Market, japan, Okinawa, sashimi by Dru. Bookmark the permalink.